New Subscriber Blitz - WINNER!!!! Ohhhhhh I'm sooooo stoked to finally be able to award ONE of our brand new subscribers with this AMAZING prize pack!!!! And you know what else? We had so much fun with our New Subscriber blitz, that we're going to offer up another "New Subscriber Prize" as one of our many October contests! 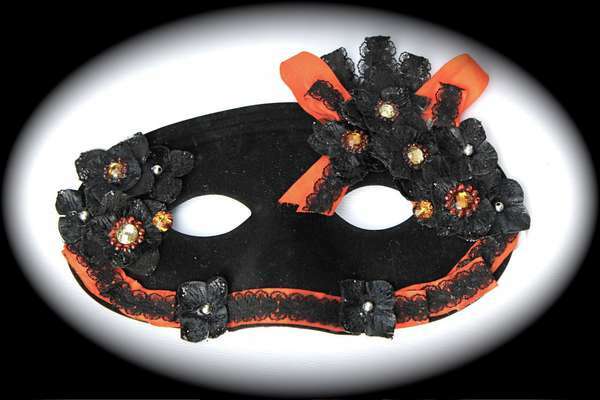 Watch the blog on October first for a list of ALL of our October contests! 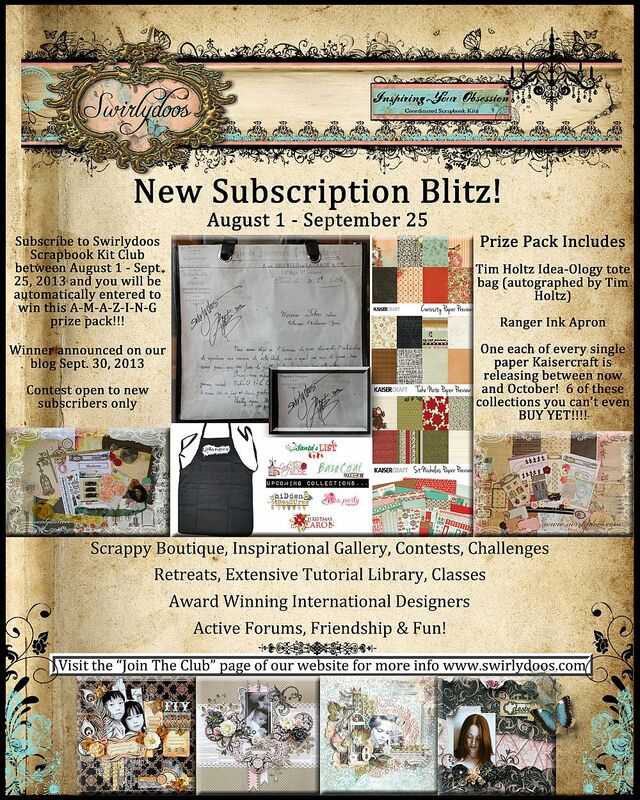 We hope you'll spread the word and join us for all the crafty goodness we have planned for you next month! So without further adieu, please send a big congratulations to the winner of our NEW SUBSCRIBER BLITZ, and this amazing prize pack! Your prize pack will be shipped out to you ASAP! CONGRATULATIONS and welcome to Swirlydoos! 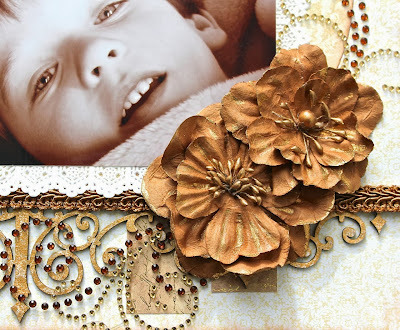 Every week our DT searches through all the gorgeous creations submitted on our site to find the one LO that stands out and demands the title of LO of the week. Each moth the DT votes on all the LO's of the week to nominate the LO of the month. And finally, at the end of the year we vote on the LO of the year from all the LO of the month nominations. This week's Layout of the week is made by Patti!!!! All of the color and dimension on this page are just amazing. 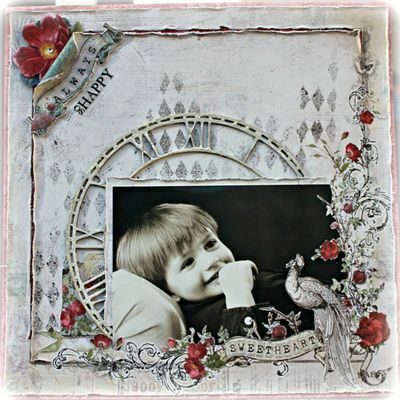 I adore the feather and the coloring of the stenciled modeling paste is awesome. 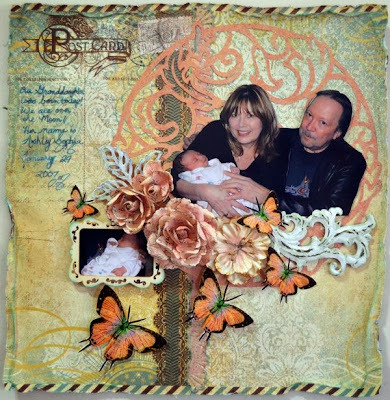 Thank you for this gorgeous piece of work Patti!! Vicky blogging today to share a few last projects as my terms ends with Swirlydoos, using papers and embellishments from the September "Gilted Pleasure" kit. 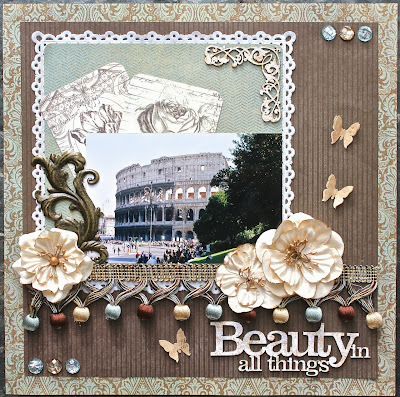 So many beautiful metal elements, flowers, trims and bling in this kit... they were so perfect to surround this picture taken in Rome 12 years ago. 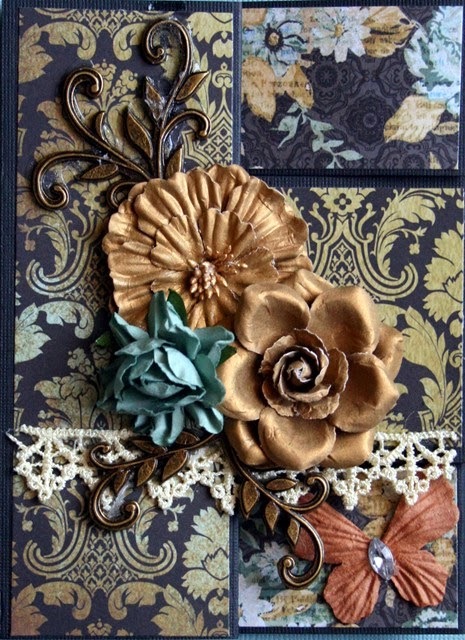 Here is a close-up of the gorgeous flowers and trim in the kit. Note: This layout was inspired by the September Dusty Attic sketch and I have used a chipboard title and corner scroll. 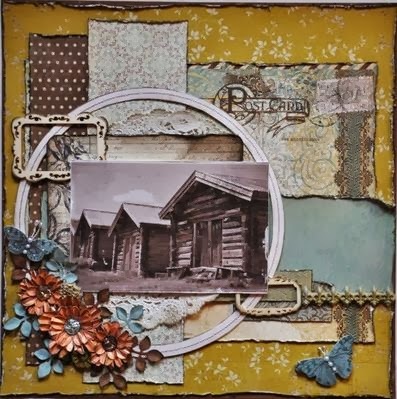 Here is a layout I created using my kit leftovers and then I added some Dusty Attic chipboard from my stash - all dripping in the gold Silks glaze provided in the kit. 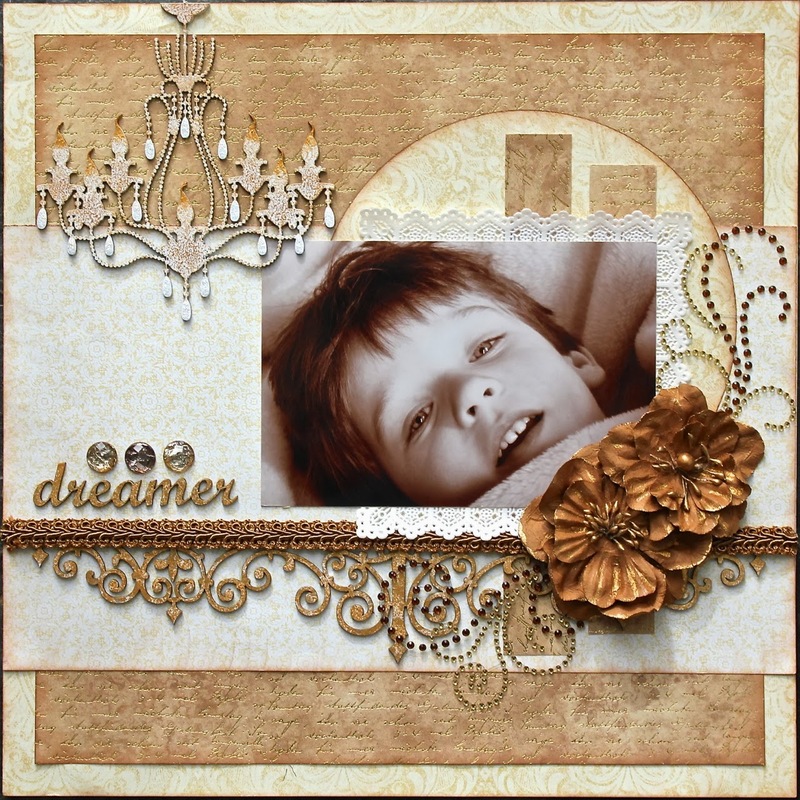 These were my favourite papers in this kit and worked really well with this sepia picture of my son. 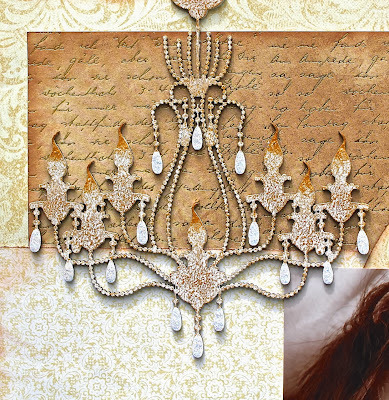 On the chandelier, I used gesso, gold Silks glaze, brown chalk ink and diamond Stickles. 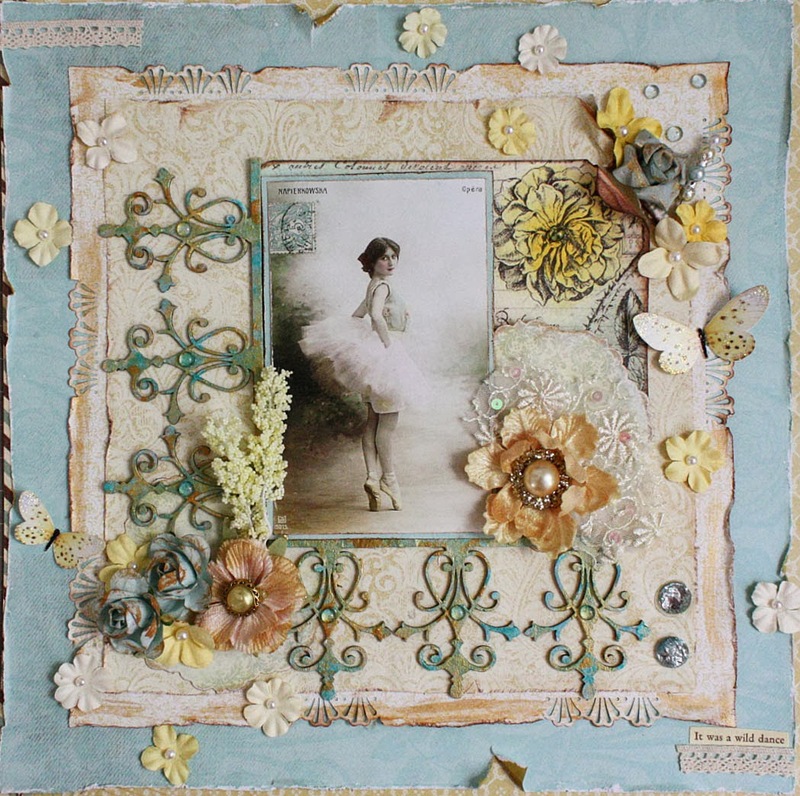 Here is a close-up of the gorgeous gold flowers and trim in this kit. Note: This layout was inspired by the #99 sketch from Sketchabilities this month. 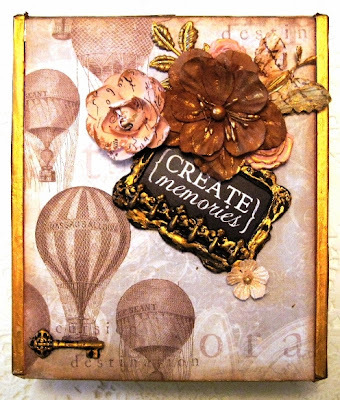 Lastly for today, I used more of the gold trim and beautiful flowers, combined with the kit notecards... all mounted on some plain pink cardstock and embellished with Dusty Attic chipboard (from my stash)... again showing off that amazing gold Silks glaze in the kit. 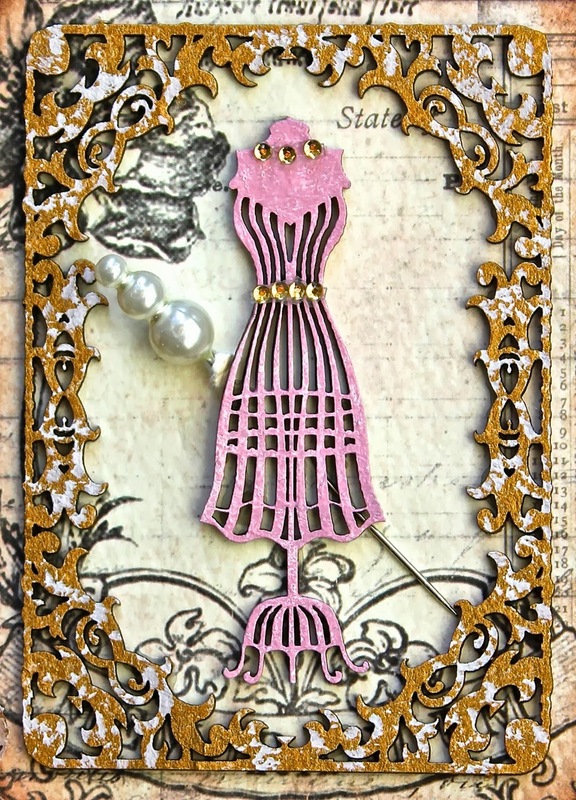 A simple yet elegant card for a fashion fanatic friend of mine. 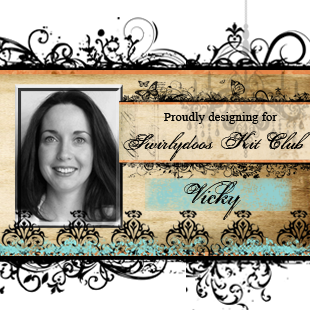 I even tucked a stick pin from the kit on here behind the dress form! 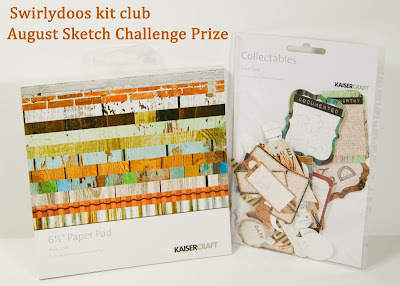 Don't forget about the current Swirlydoos Contest! Hello friends! 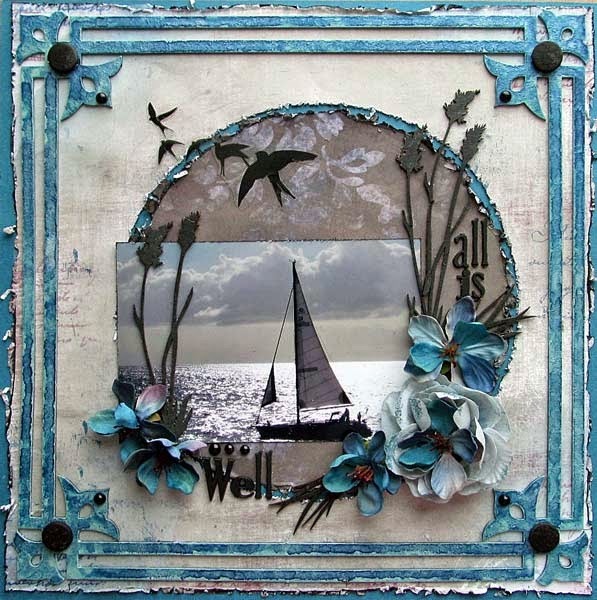 Just a quick post today to share two layouts I made using the Swirlydoos September Kit, Gilted Pleasure. This kit was just amazing and so easy to work with. 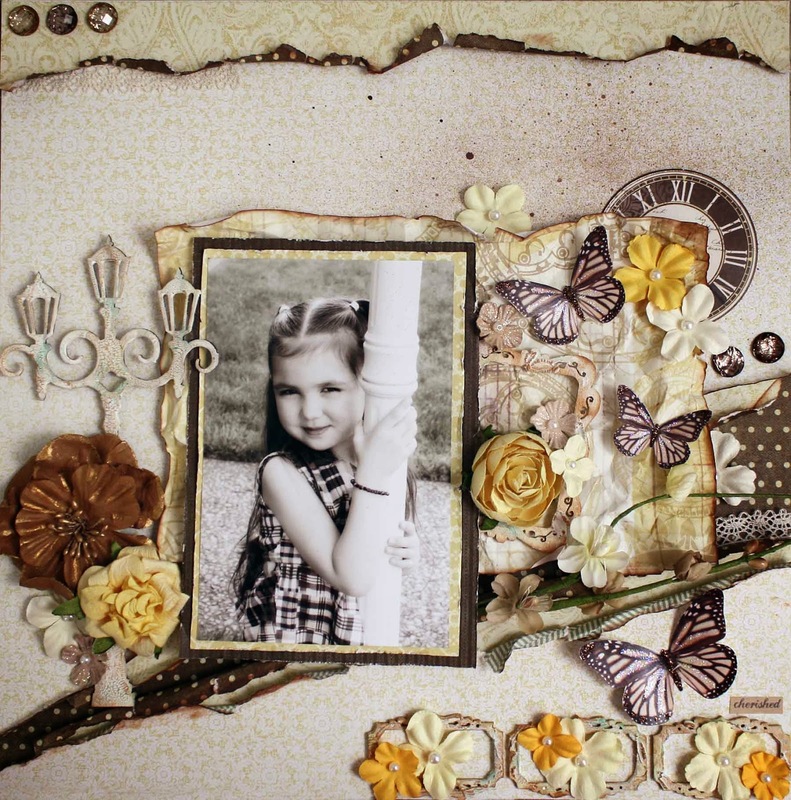 I love polka dots but in small quantities! I had to make sure I used the brown and cream polka dot paper. So, I did some paper tearing and layering with the polka dots just barley peeking out. 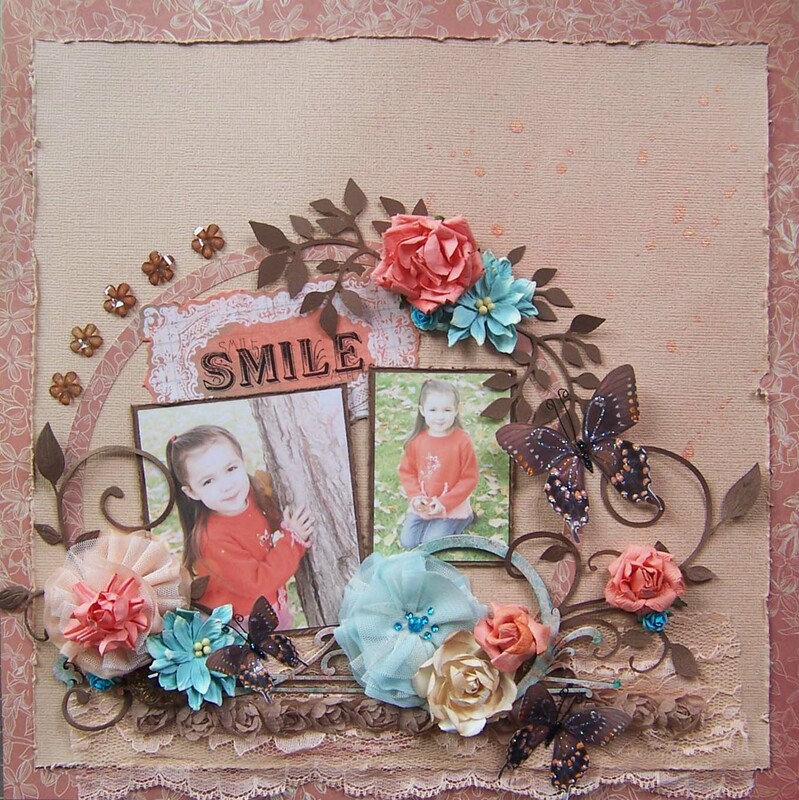 Be sure to upload your pages or projects in the Swirlydoos Gallery. We would love to see them!! And if you have any questions, feel free to ask, I'd be happy to answer. September Challenges coming along nicely! Here is a peek at the current challenges over on the Swirlydoos Forum. 4. 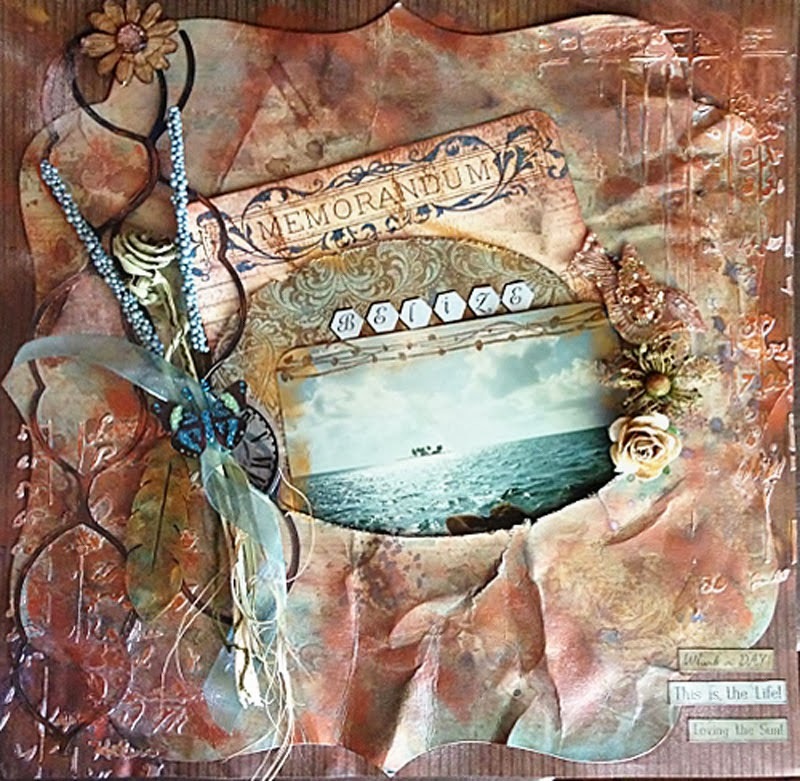 SGC (Swirly Girl Challenge): "Breath"
Interested in subscribing to the Swirlydoos kit club? 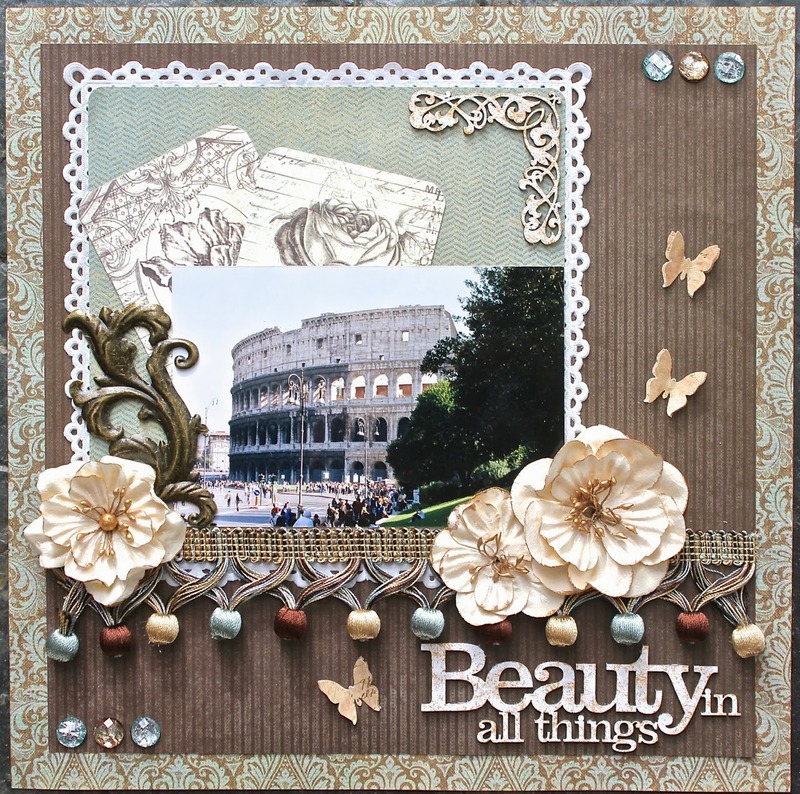 This gorgeous piece of art was submitted by Hanne! 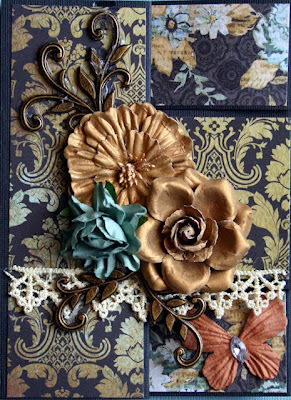 The handmade flowers add the finishing touches to this layered masterpiece. Although the wood pieces were kept simple the inking was the perfect touch and the mod melts are spectacular. Education Team Video - Inka Gold! Happy Saturday ladies!! You know what Saturday means...a brand new education team video!! We've gotten a couple of questions on the forums about how to use Viva's Inka Gold. So this week I have a video for you that shows you how to handle, use, and store your Inka Gold. Just a quick note that based on the commentary on my last video I have made some adjustments. Thank you to the ladies who did leave comments on the YouTube channel. Here at Swirlydoos we strive to make things the best we can so feedback is ALWAYS appreciated! 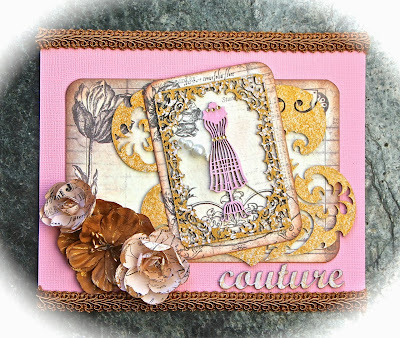 August was the first month that we invited EVERYONE to play along with us for our sketch challenge. We had a great response, THANK YOU all who participated! Our gallery was filled with the most gorgeous creations this month! Please send your contact info to claim your prize to rae@swirlydoos.com . 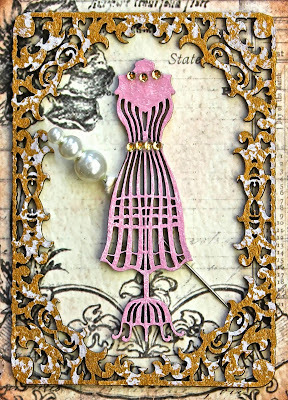 If you'd like to see all of the gorgeous creations based on this sketch, CLICK HERE. Also, be sure to play along in our September Sketch Challenge! I have such admiration for all the fussy cutting that went into this piece. WOW! 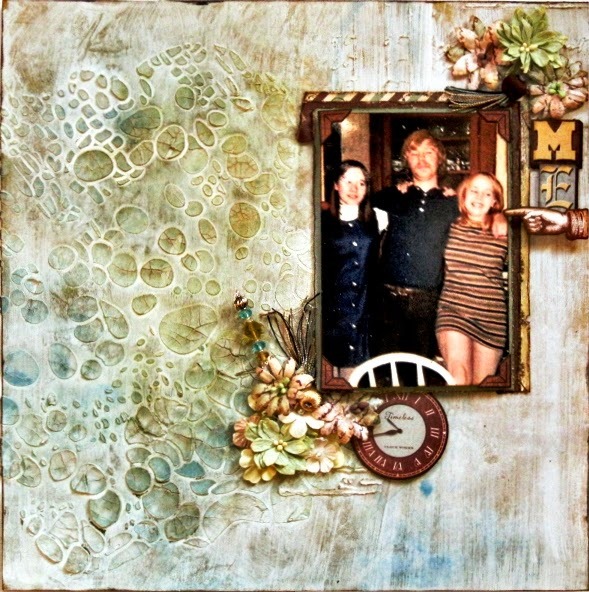 The clock piece is a wonderful circle behind the adorable photo and I just LOVE the banner up in the curled edge. 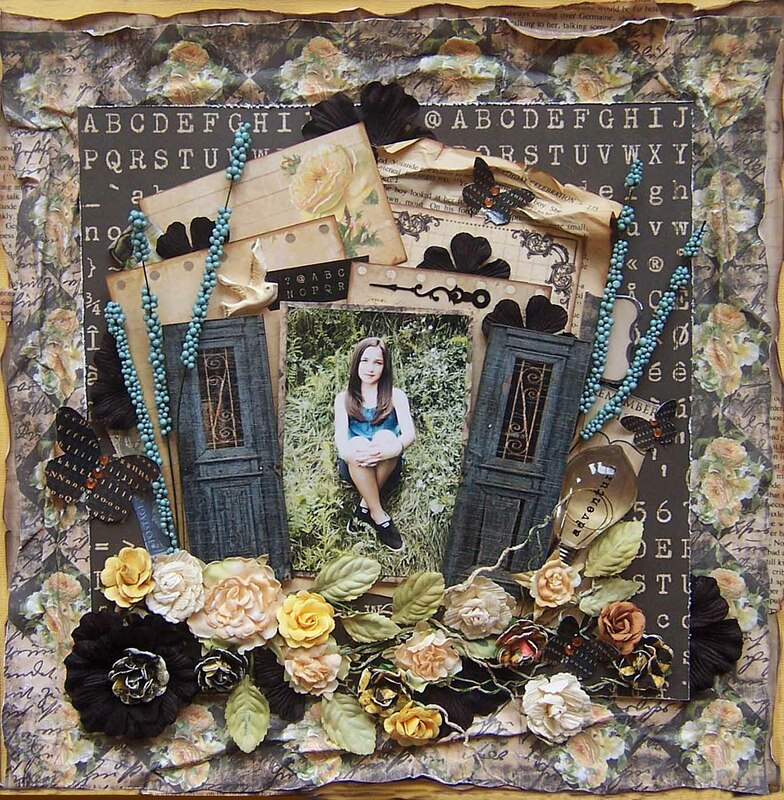 This gorgeous piece was submitted by Niesa!!! Why You Need Viva Decor Paper Soft! 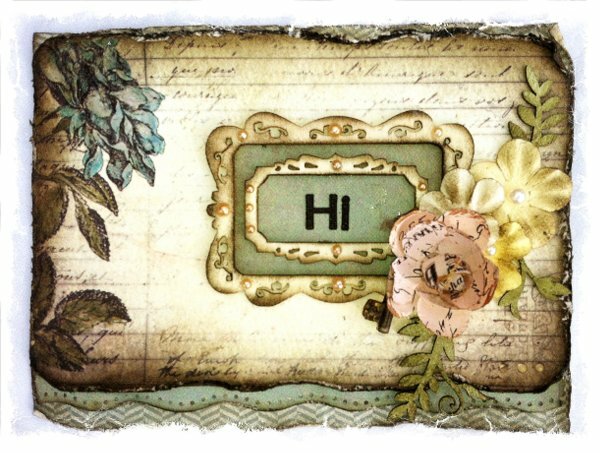 Happy Saturday to everyone! 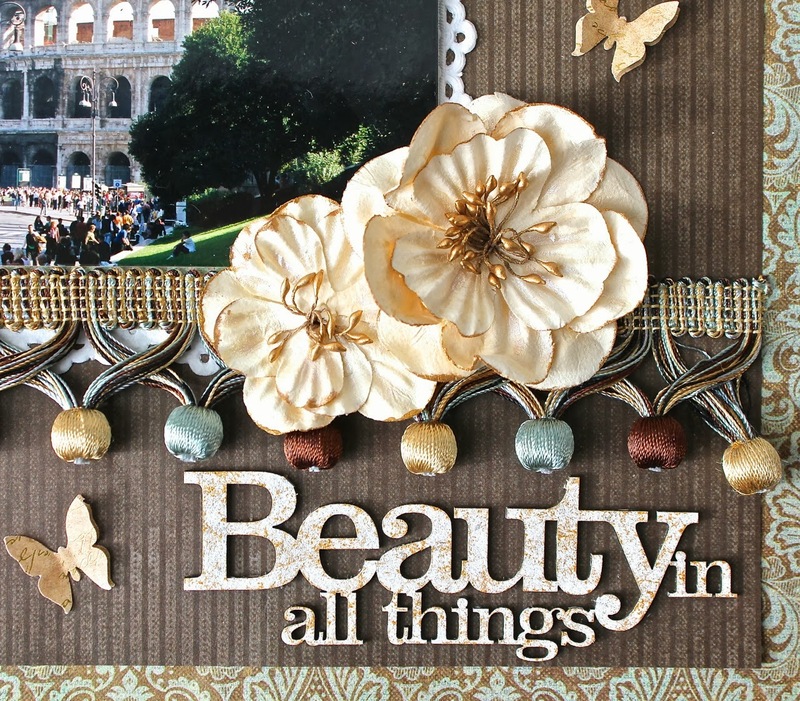 I'm sharing my love of Viva Decor Paper Soft in my video today. If you are getting our Mediums Add On, then you already have a jar! If not, after watching the tutorial, you will need to run out and get some! 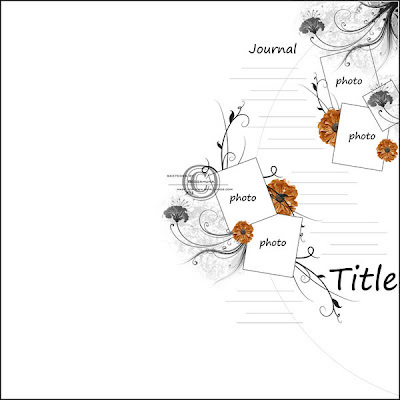 If you have a way that you love to use Paper Soft, please share it with us HERE on our forums! Swirlydoos Kit Club is proud to offer our Christmas themed "BELIEVE" scrapbook kit to one lucky hop winner! 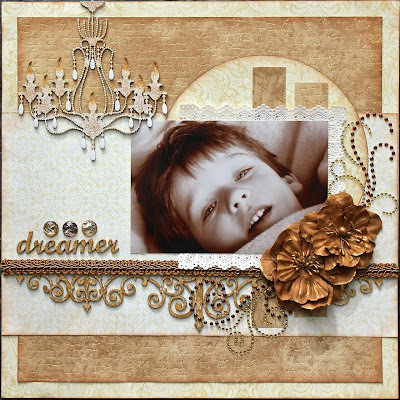 Our monthly kits are elegant collections jam packed with current, beautiful scrapbooking and card making products from manufacturers all around the world! In addition to elegant, economical monthly kits, Swirlydoos also offers hundreds of FREE SCRAPBOOKING TUTORIALS on our YouTube channel and in our very active scrappy forums! Come check us out and see why hundreds of scrapbookers around the globe put their trust in Swirlydoos when it comes to getting the newest, highest quality, coordinated kits at the best prices. 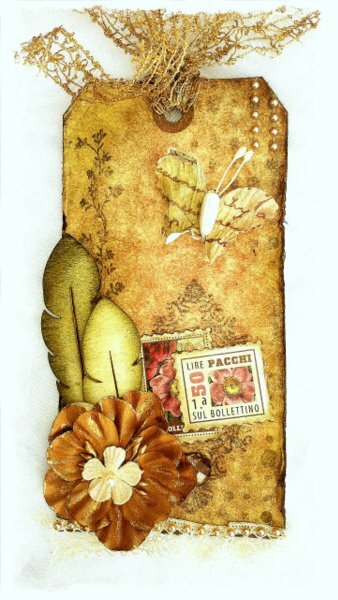 With fall in the air, and the gorgeous fall inspiration in this edition of PaperHaus, we've decided to show you a little "fall lovin'" from our own renowned design team! 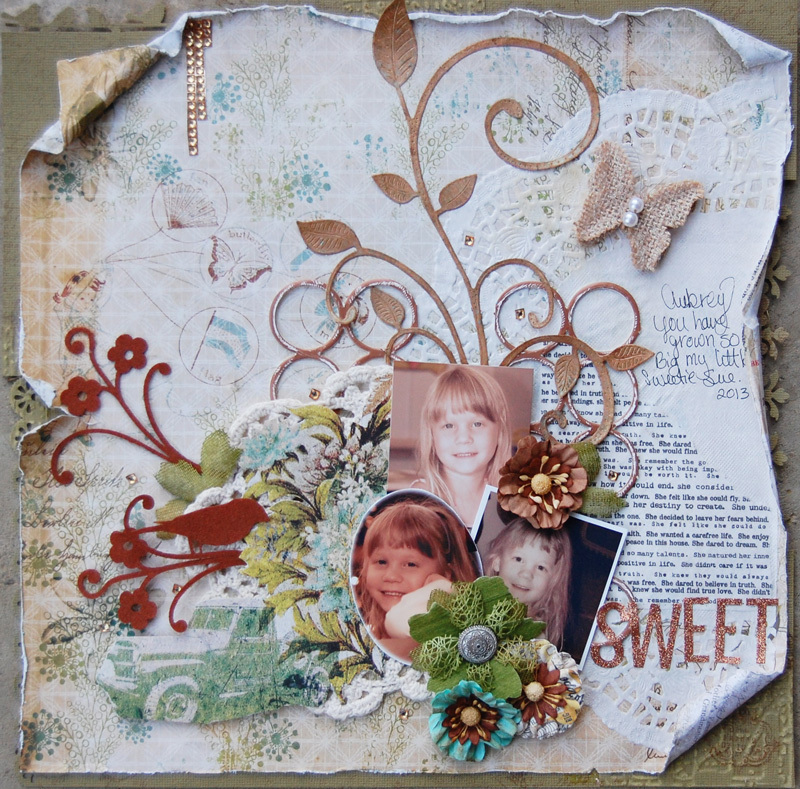 Each of these projects were created using Swirlydoos monthly kits! While you're here, we HAVE to tell you about a little contest we're having! 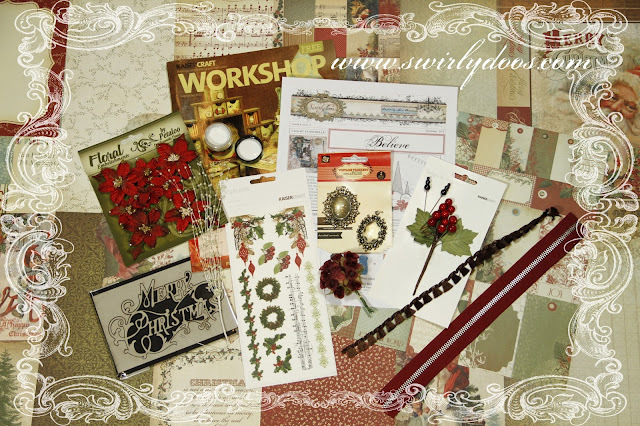 Subscribe to Swirlydoos kits before September 25th and you will be entered to win this JAW-DROPPING prize pack!!! 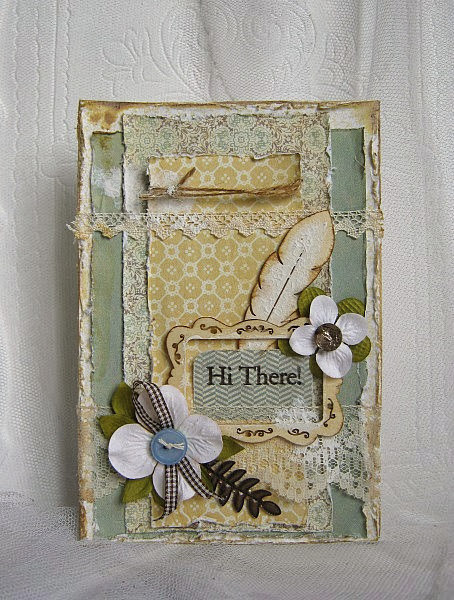 To sweeten the deal, we're even going to give you 10% off your first kit when you mention the PaperHaus blog hop! Swirlydoos kit club is proud to partner with PaperHaus for the Fall Splendor Blog Hop! 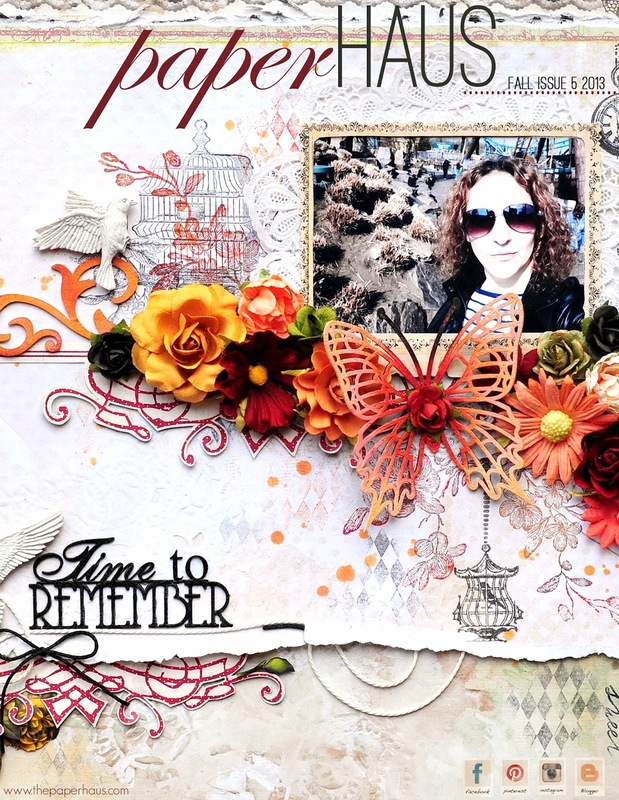 We are celebrating the release of the new FALL edition of PaperHaus Magazine which also coincides with the 1 year anniversary of PaperHaus! We are excited to be part of this amazing celebration! 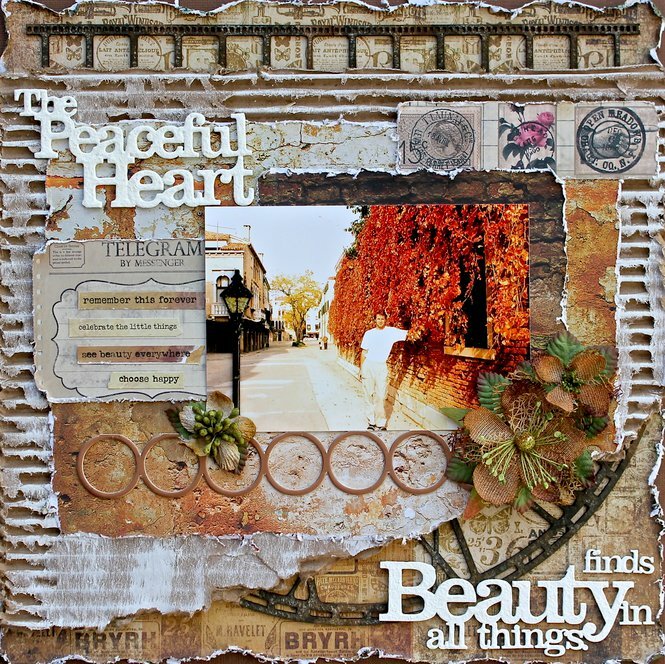 The Fall Splendor event is filled with inspiration from both Swirlydoos' amazing design team as well as the contributors to PaperHaus, so make sure you click through every blog for a healthy dose of inspiration! Comment on every blog to be entered to win an amazing daily prize! 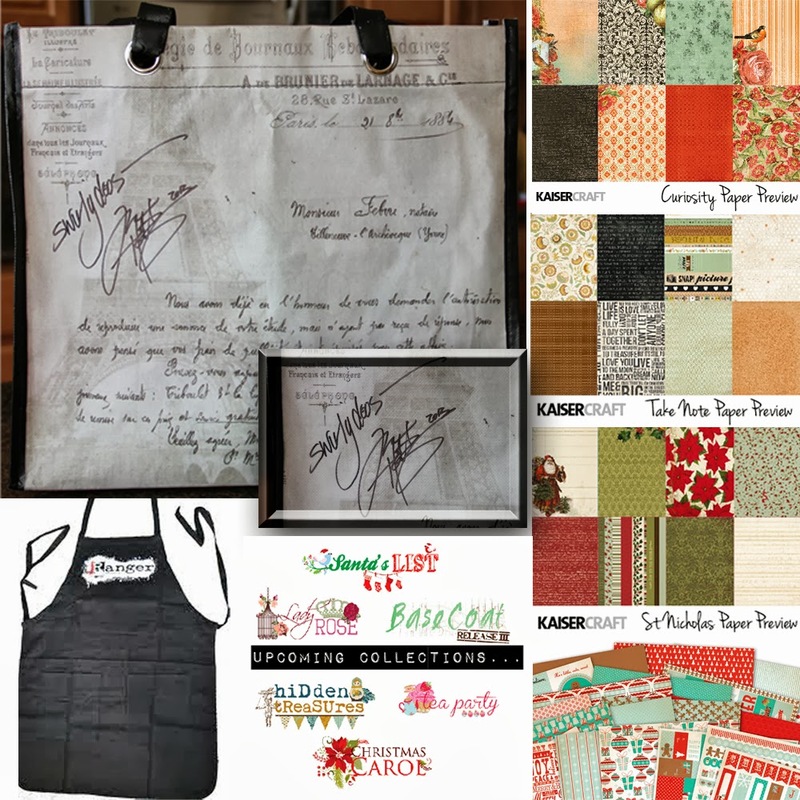 We hope you enjoy our inspirational blog hop!! 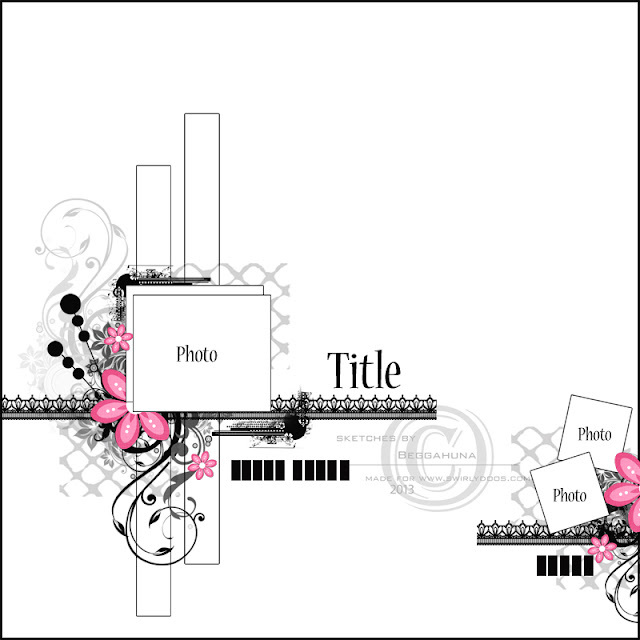 Layout of the Month Winner for August!